The UKRA Team Project Support (TPS) scheme has been launched to assist and facilitate teams, from a university or other recognised body, to develop, build and launch a rocket safely from a UKRA supported site, with the appropriate indemnity and without the requirements normally imposed by the UKRA certification process. With the gathering momentum of space sector in the UK and the push to develop aerospace engineering the UK, UKRA does receive many requests for assistance on projects from teams of individuals, frequently in full time or higher education. UKRA is keen to promote and encourage this type of project. 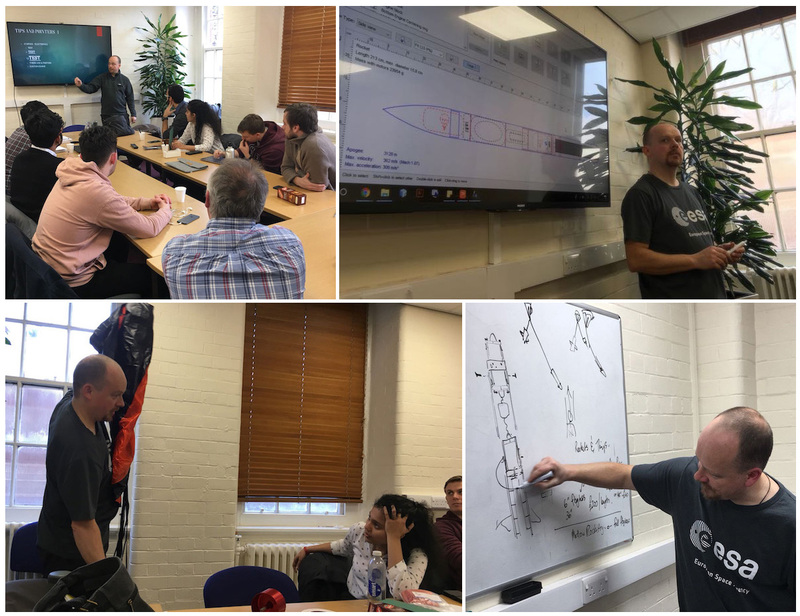 Team projects have previously demonstrated detailed engineering insight and innovative solutions to the challenges of rocket flight and recovery. However, such team projects can present significant problems that are not faced with individual member projects. Foremost in our concern, is that team members often lack prior rocketry experience. Furthermore, as these projects are usually to be completed in a limited period, such as the final year of a degree course, time is not available to gain sufficient experience and complete the certification process required. Finally, as certification requires an individual to have constructed a project unaided, these team projects do not conform to that certification process. UKRA has therefore developed this process - called Team Project Support (or TPS for short) - to enable team-based projects to be conducted and flown with UKRA guidance and from UKRA supported sites. This is quite separate from high power rocketry certification but will allow access to insurance indemnity and the necessary oversight to ensure the project can completed safely. Below you will find the downloadable files that make up the TPS documentation. TPS Team Details In this form you will list all the team members and their experience. TPS Full Project Details This is the final submission document to be completed before final sign-off. TPS Additional Technical Guidance This document contains a wealth of technical information to assist in the design, construction and operation of a rocket. One of the first Team that UKRA tested the Team Project Support scheme with was the Sunr1de Team from Sheffield University. The team comprised of a core of 6-7 Masters engineering students who had never built or launched a rocket before. After mentoring the team involving multiple visits to the university, many many emails and some skype session the team finally completed their vehicle and left to compete in the Team Spaceport America Cup. The following message was placed on the Team Sunride facebook page. 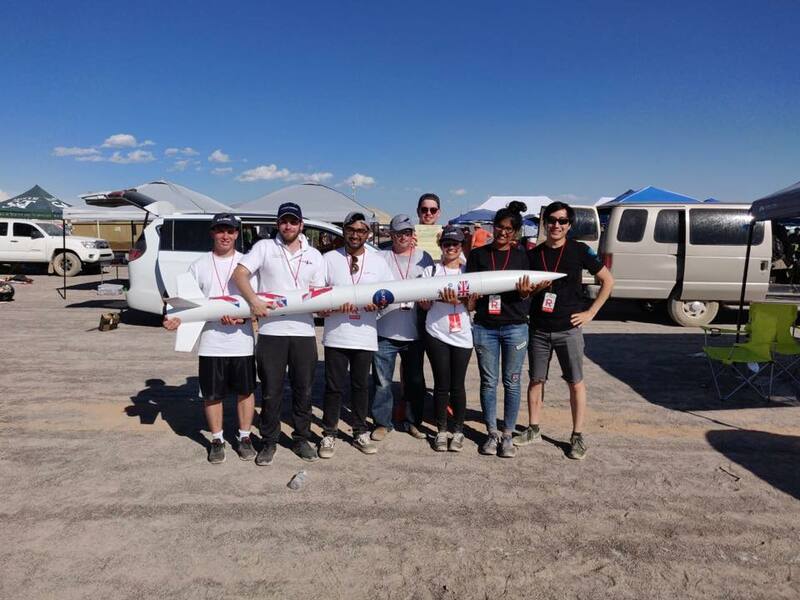 Team SunrIde completed its first successful launch against a total of 140 teams across the world with an accurate altitude prediction of 99.83% (apogee of 10,017 ft). The Spaceport America Cup awarded Team SunrIde and The University of Sheffield with the BEST ACCURACY PREDICTION award at Spaceport America Cup 2018. Team SunrIde has been recognised as the first team to represent the United Kingdom at the Spaceport America Cup and won one of the most prestigious and competitive award in the 10,000ft Commercial Off the Shelf (COTS ) category. We’d like to thank the ACSE, SoMaS departments and the entire University of Sheffield along with the United Kingdom Rocketry Association for their endless support and faith in the team! This great quote from Jae Hyun Lim who was was Project Lead for Team Sunride really sums up the TPS scheme and its advantages. "As a complete beginner in high powered rocketry, the SunrIde project has been a great opportunity to learn about rocketry and the various specifications that must be considered into rocketry design. This project has been a great educational opportunity for me to learn hands-on in a subject that I've always been interested in and the UKRA's TPS scheme has been fundamental in making this project head in the right direction to make our rocketry endeavors smoothly transition from basic design to reality. "